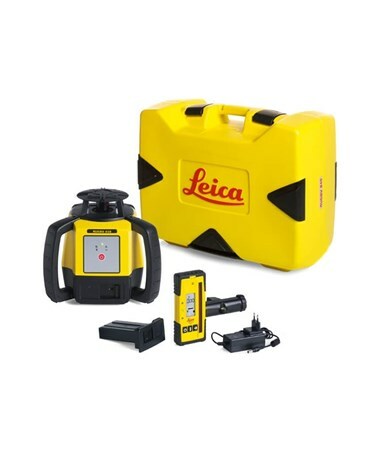 Leica Rugby 610 Rotary Laser Level LEI-6008610. 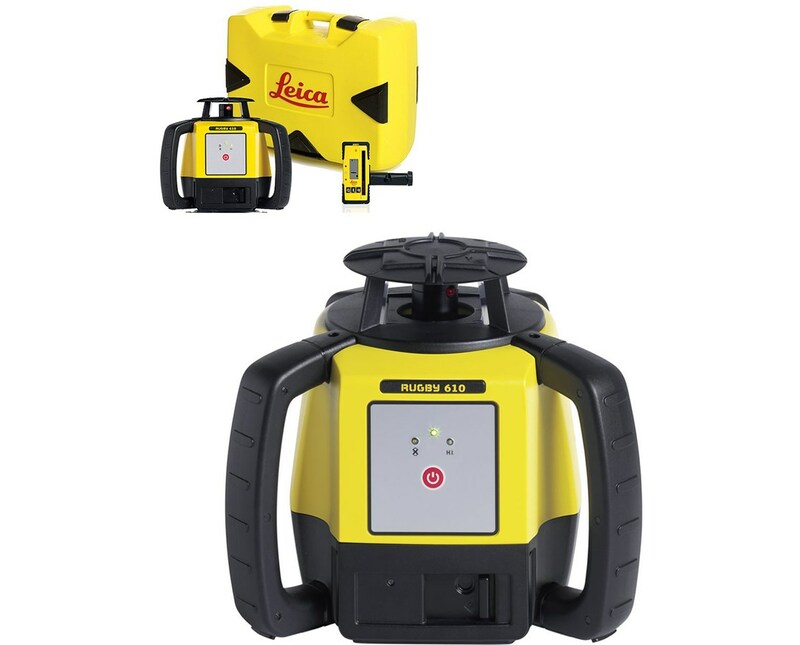 Ideal for all general construction applications, the Leica Rugby 610 Rotary Laser Level is an easy-to-use laser that is self-leveling within ±5 degrees in a horizontal fashion. 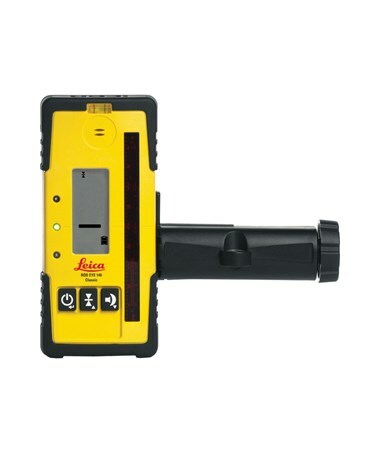 It features a range up to 2,000 feet with the use of a laser receiver and provides an accuracy of ±3/32 inch at 100 feet. 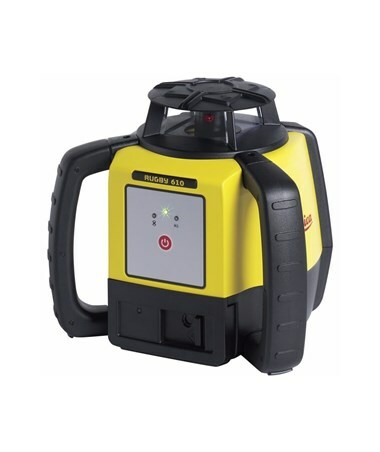 Featuring a one-button operation, it is perfect for site preparation, grade checking, formwork verticality, concrete pouring, formwork leveling, and other similar jobs. The Rugby 610 features a rotation speed of 600 rotations per minute. 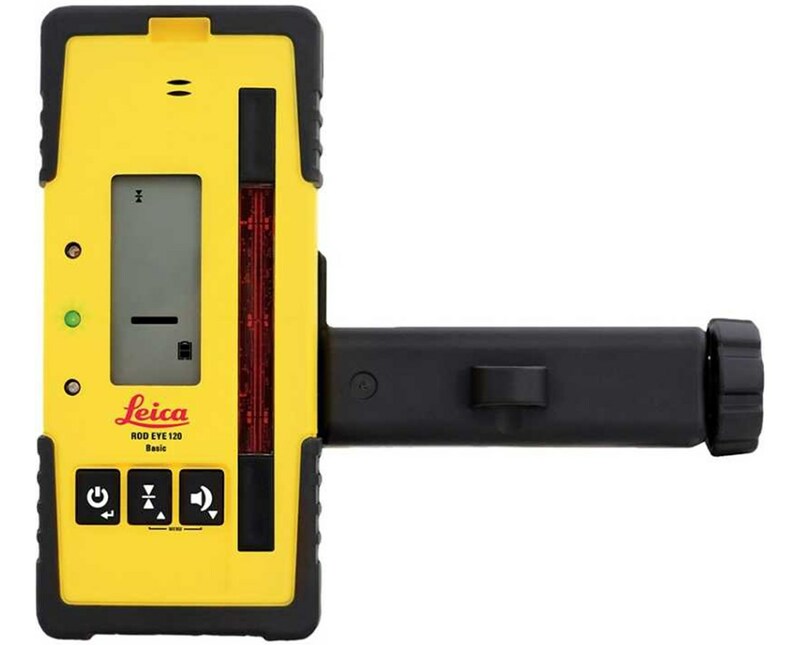 Also, it comes with a clear LED indicator for a clear battery and function display. 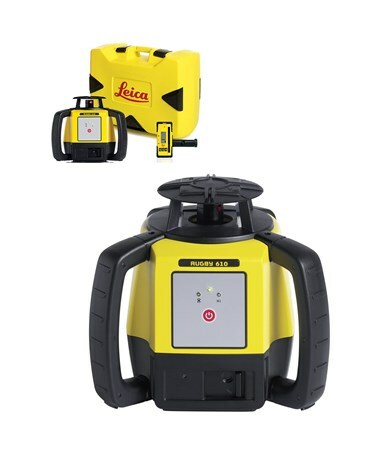 This Leica rotating laser uses the Class 2, 635-nanometer, visible red laser. 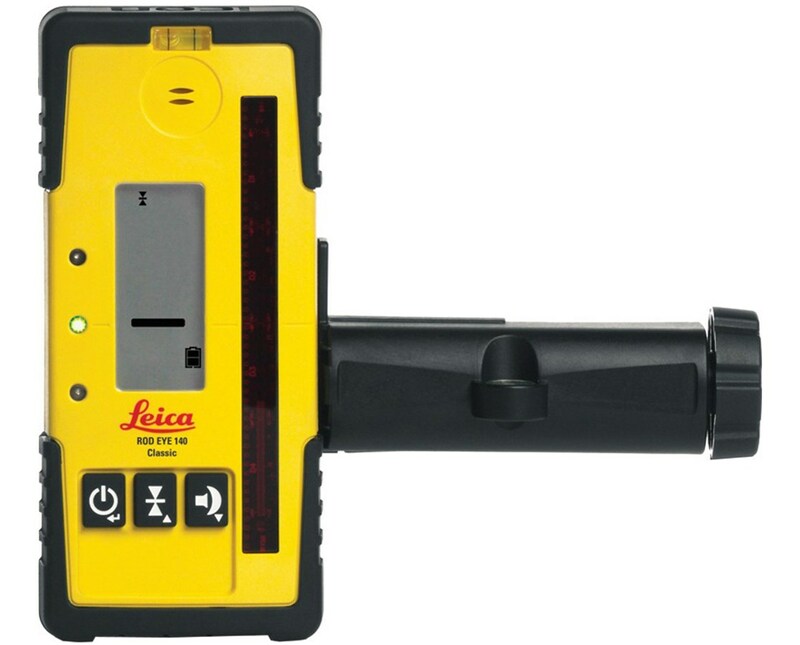 Having an IP67 rating, the Leica Rugby 610 is dustproof and water resistant. Made from a co-molded rubber and high-impact plastic, it can withstand the harshest weather conditions. Also, it includes robust grab handles for easy grip. The Rugby 610 can run up to 40 hours with Li-ion batteries and up to 60 hours with Alkaline batteries. As an additional feature, it comes with a 5/8-11 thread for easy attachment on compatible tripods. 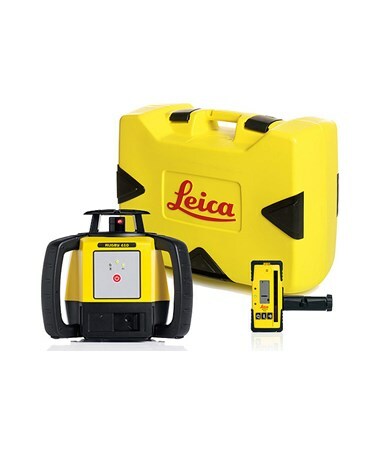 The Leica Rugby 610 Rotary Laser Level comes with six packages with varying receivers and battery options. Please choose your preference from the drop-down menu above.